An image, allegedly of the upcoming Apple iPhone is doing the rounds on the internet. The image entails a pair of OLED models, which might be available in gold for the first time. Apple just confirmed the event for September 12, where reportedly, the tech giant is likely to unveil new iPhone models. Together with, Apple Watch Series 4, new MacBook Air, Mac Mini, iPads with FaceID and more products. Last year’s OLED model, the iPhone X, was limited to silver and space grey. According to the rumoured reports, Apple plans to call both OLED iPhones the iPhone XS. 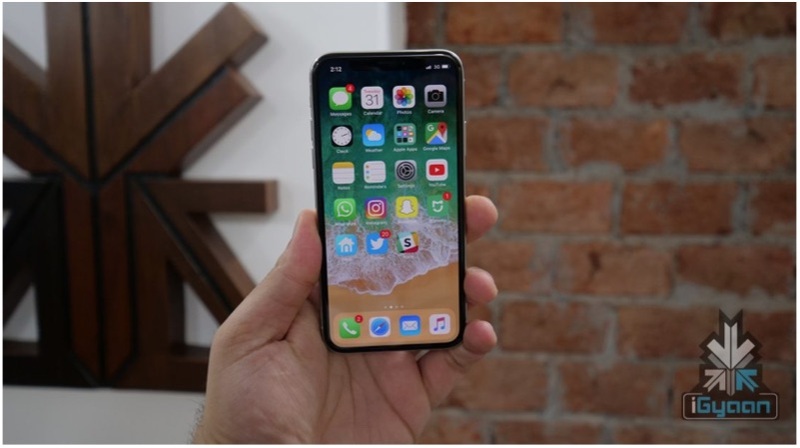 It is believed that Apple may introduce three new iPhones at the event: a second-generation, upgraded iPhone X with 5.8-inch OLED screen. Another larger screen 6.5-inch OLED device, and a lower-cost, cheapest of them all, 6.1-inch smartphone with an LCD display. The cheapest 6.1-inch LCD iPhone might come in a variety of unconventional colours. It may come with a design similar to the iPhone X. However, it will sport aluminum edges instead of the iPhone X’s stainless steel casing. Reportedly, new iPhones will have an edge-to-edge display with slim bezels, a Face ID and no home button. The Face ID might be enabled with through TrueDepth camera system. As you look at the phone, the TrueDepth camera system allows the flood illuminator to detect your face. The current theory states that Apple had a video stream running with images of the unreleased products. Some reports claim that it was an inadvertent leak. While some are going with the belief that it was probably a deliberate ploy on Apple’s part. Apple will live stream the whole event which will be held at the Steve Jobs Theater on the Apple Park Campus in Cupertino, California at 10:00 a.m. Pacific Time. To recall, the Apple Park campus was opened just last year. The iPhone X was launched at this campus only as part of the tenth-anniversary celebration.